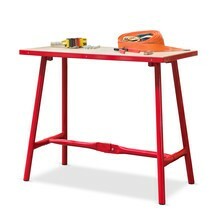 The BASIC folding workbench is very useful if you move around a lot while working or require a mobile storage space. 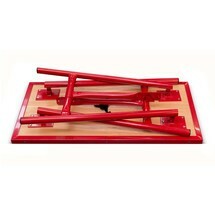 Thanks to the practical folding mechanism, it can be erected and collapsed in a flash and thus provides you with an effective working aid. The Steinbock® workbench is ideal for use in industrial areas. 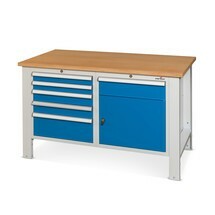 It features a sturdy steel frame and a solid, oiled multiplex worktop. It is available in different versions.